This message is from the comments. We are posting it here because we know that not everyone reads and comments and sometimes, blogger isn't cooperative about displaying them. Thank you so much for sharing your memories of the time and for helping to inform the world about the atrocities against Sikhs from personal experience. 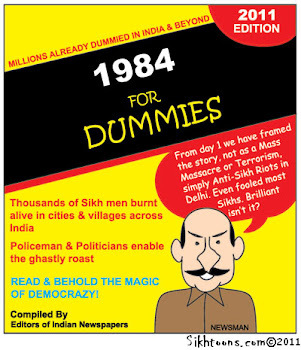 I know that there are some, including the Indian State and its agents; as demonstrated by the attempts to censor Amu; who would rather that we forget about these and subsequent events. However, this will not happen due to people like yourself and the increasing awareness of these events. 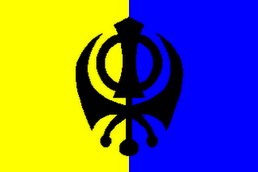 The Sikh Youth of today is increasing becoming aware of the atrocities and they will continue to fight for justice. 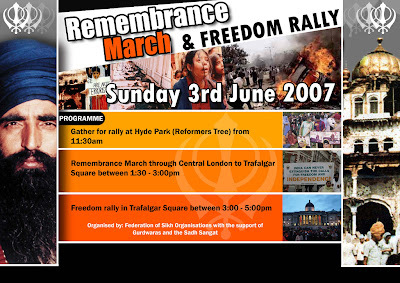 Every year the UK sangat has a march and a rally in remembrance of the Shaheeds (http://solarider.org/blog/index.php?s=1984) and this year the main event will be held on the 3rd June 2007. Ive only just discovered you blog but I have taken the liberty of linking to it from mine and I hope that many many more people get to read your experiences. Thank you. We have posted your poster. A little too small to read, but they can always go to your site.